Provides a lofty living space for your animals. Take your reptile to greater heights by creating an arboreal resting place on the slippery sides of your glass or acrylic terrarium. 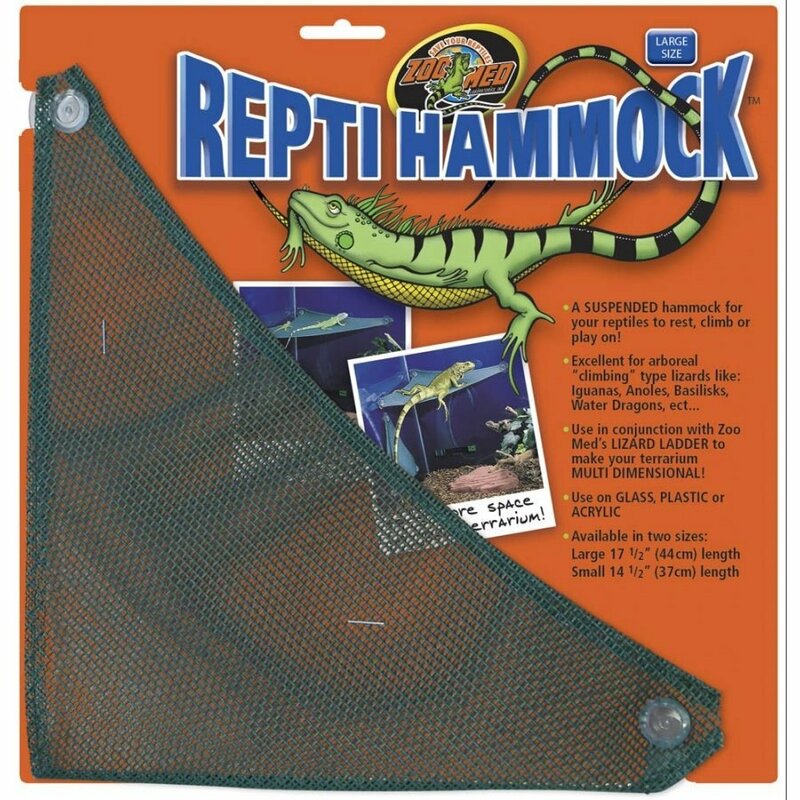 ZooMed Repti Hammock has different options and/or variations, please choose below. 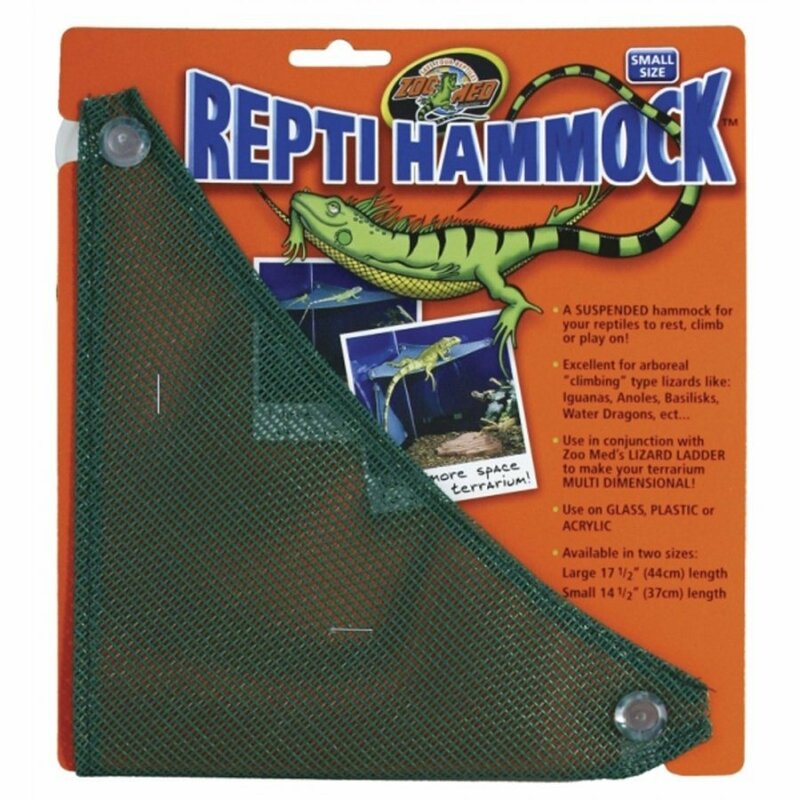 A soft, nylon mesh perch that creates an additional level for your reptile to rest, climb or play in. Attaches easily with suction cups to glass, plastic or acrylic terrariums. Use together with ZooMed's Lizard Ladder (sold separately) to create a multi-dimensional living space.